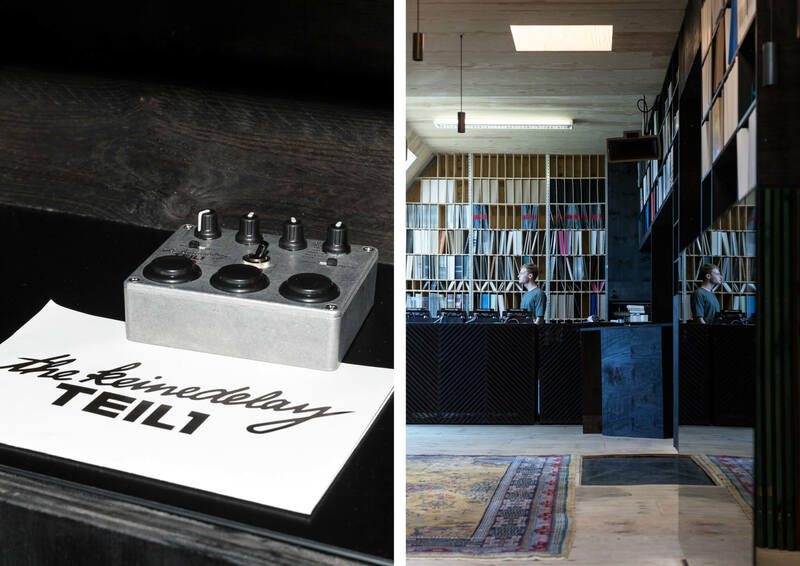 Muting The Noise, the record store and distribution headquarters run by the Innervsions label, is nestled on the top floor of an old Kreuzberg walk-up. It’s the kind of place where visitors need to be in the know in order to find it, as there are no signs or logos visible from the street or the door where all guests must be buzzed in. The Muting The Noise team delivered on this concept by positioning the heart of its distribution center, where batches of records arrive from the pressing plant to be disseminated to retailers, directly to the right of the entranceway. 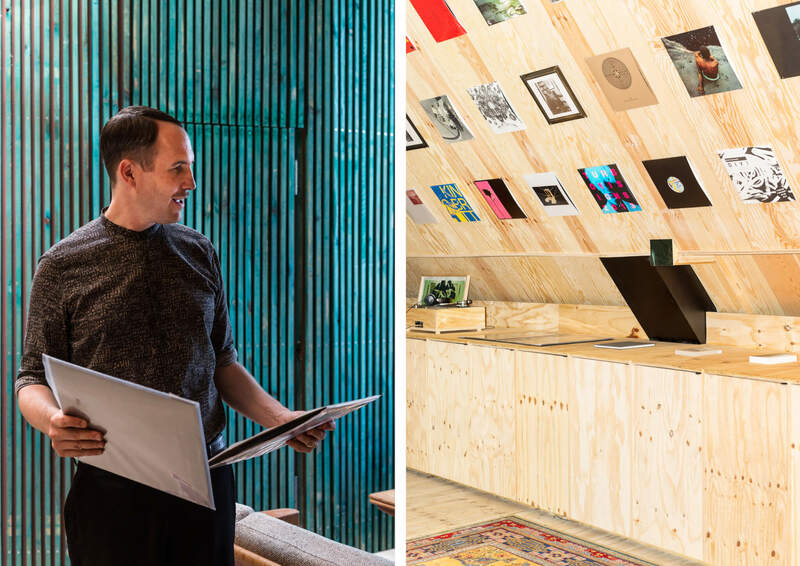 Visitors are greeted with floor-to-ceiling shelves full of records hot off the press, various shipping materials and a small office space where the supervisors make orders and manage the label’s internal affairs. The pitched rooftop ceilings are even lined with display records for sale in the store, though some of them, as Beyer explained, are actually from his personal collection. “The top row of records are all of mine, records I like. It’s not club music, but it’s just to show the people what we listen to in our free time and where we get our inspiration from.” His selections range from the balearic stylings of Talaboman, the funky house collaboration between Axel Boman and John Talabot, to the lesser-known Afro-classical compositions of the Malian orchestra Le Super Biton National De Ségou. Muting The Noise allows guests to see into the inner workings of the imprint, the staff that runs it and the diverse musical sources that guide its vision as well as the label heads’ individual studios. On the left-hand side of the cozy attic room is a semi-circular structure composed of turquoise wooden beams and elongated windows where Steffen Berkhahn (a.k.a. 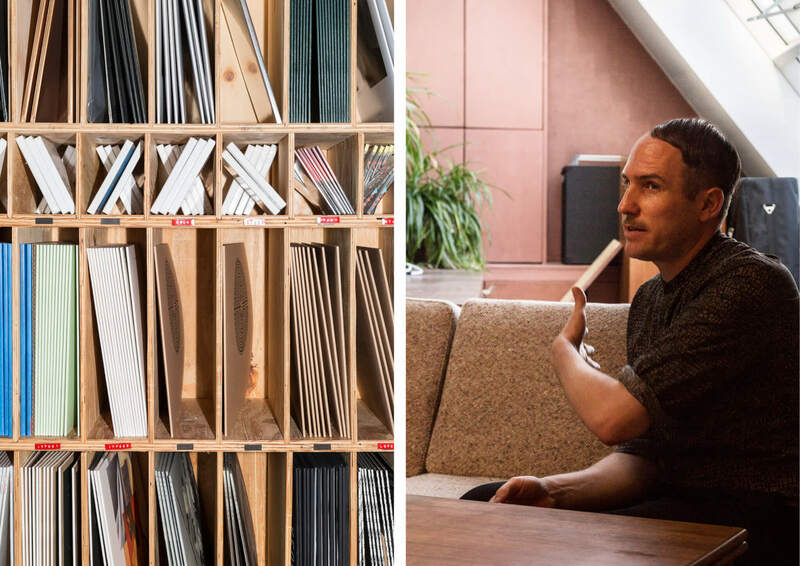 Dixon), Frank Wiedemann and Beyer have their personal workspaces. The producers have been visiting the space on a nearly daily basis for four years and steadily crafting the music they then release and distribute in the adjoining room. But Beyer says getting to this point took the trio a lot of work and many years of triangulating and pivoting their vision. “Muting The Noise is the result of a long process,” he said. “We have always wanted to open a centralized location like this, but back in the day we were in different cities. I was with Frank, my partner in Âme, in Karlsruhe, and Dixon was here in Berlin. I had a record store for 11 years in Karlsruhe, so I have this record store history somehow. I closed the record store and moved to Berlin with Frank, and it was the first time we ever had an office. 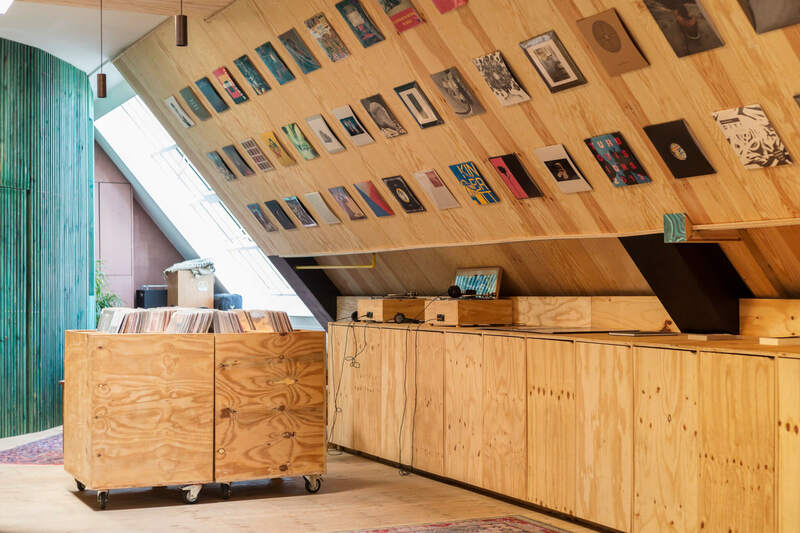 People started picking up records in the office that they ordered on our website, you know, and we were constantly thinking, ‘What else can we do for these customers?’” The answer, of course, came six years later when the trio inaugurated the Kreuzberg loft. This evolving practice has recently been bolstered by the advent of in-store parties, during which invited artists can “just play their favorite records to people on an audiophile sound system” and expose attendees to the outer limits of jazz, afrobeat, dance and house-derived musical leanings. “We wanted David Mancuso-style events. We want to give more life to the space, but we want it to happen naturally,” Beyer said while demonstrating the immense capacity of the room’s Klipsch monitors and Floating Points-designed rotary mixer. Âme is playing Telekom Electronic Beats’ Clubnight at Goethebunker in Essen on September 16. To RSVP, click here.